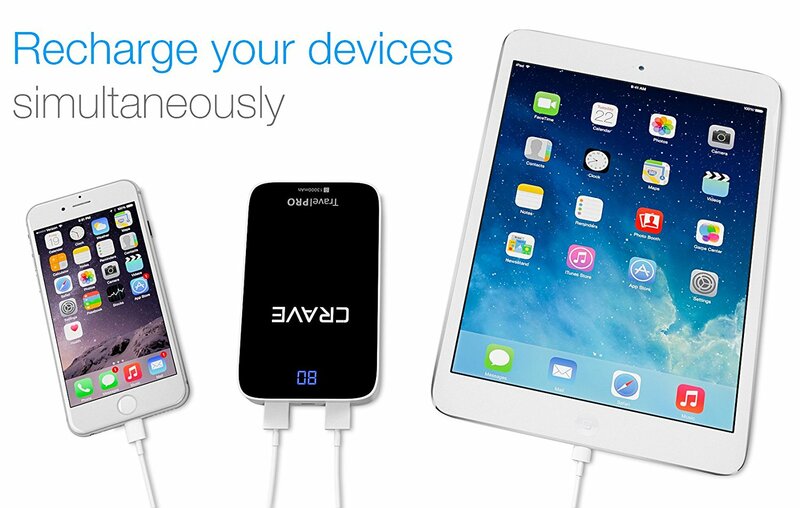 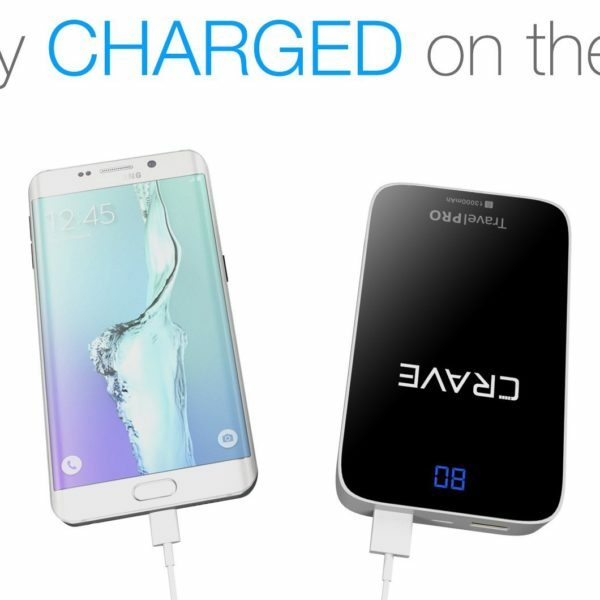 CHARGE ON THE GO: You never have to stop for an outlet again! 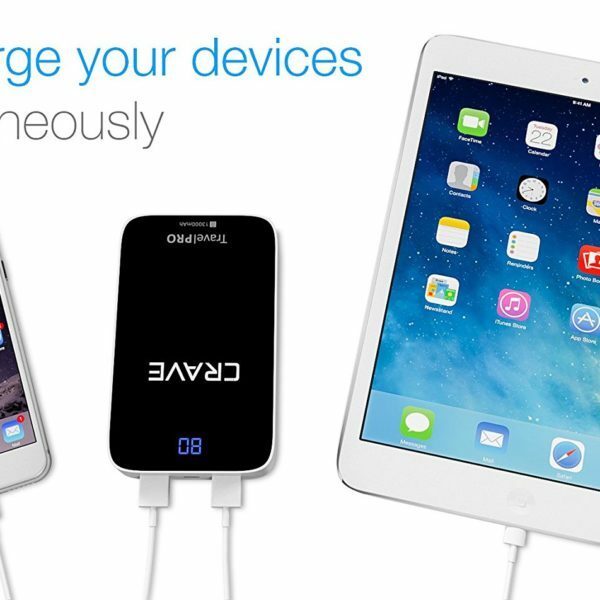 When your smartphone or tablet start losing charge, just pull your Crave battery charger out of your pocket or bag and recharge it in no time. 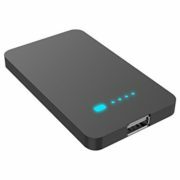 COMPACT & PORTABLE: Our external battery charger is not only powerful, it fits in the palm of your hand, your pocket, or your purse. 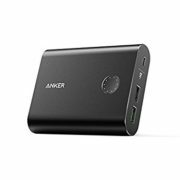 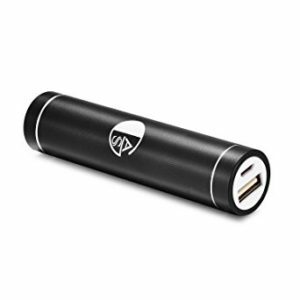 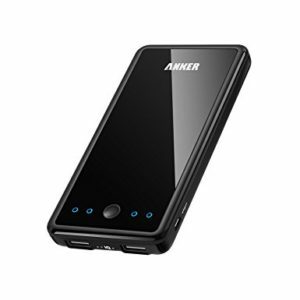 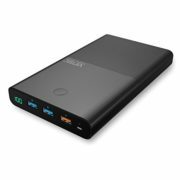 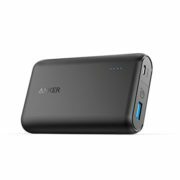 Small and lightweight, you can take it wherever you go and never run out of power. 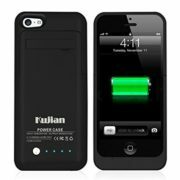 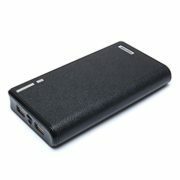 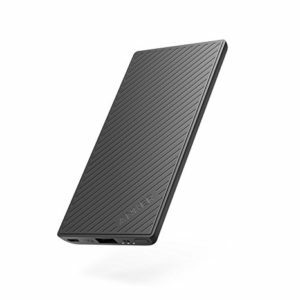 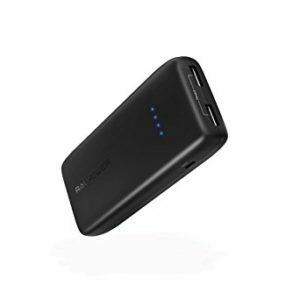 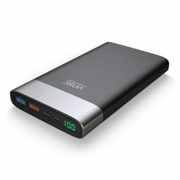 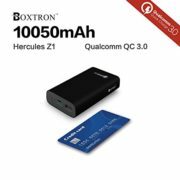 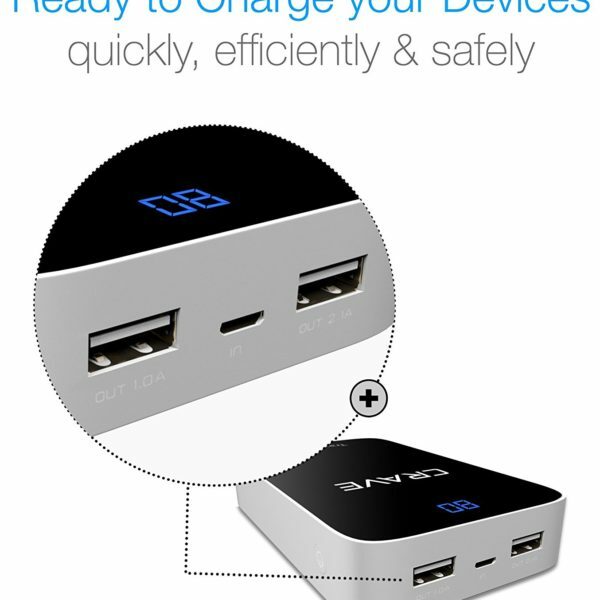 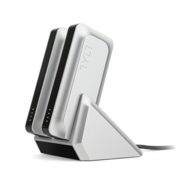 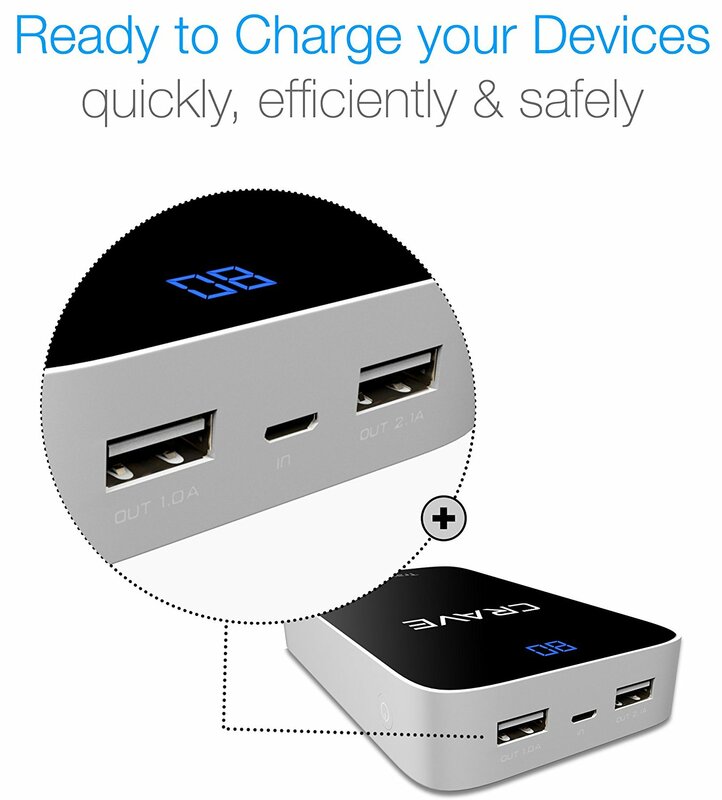 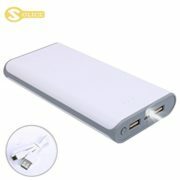 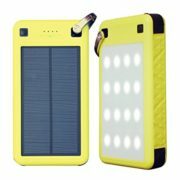 BLAZING CHARGE TIME: At 13000mah, you can charge your devices to full quickly and efficiently. 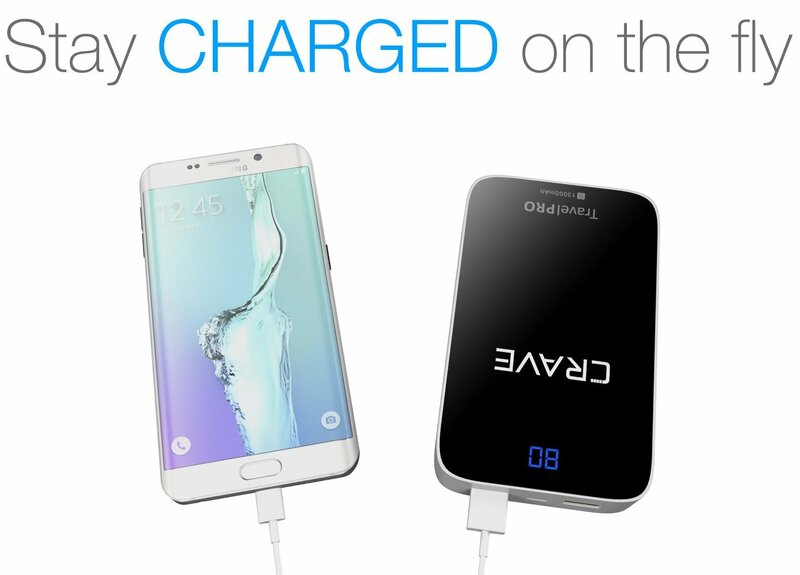 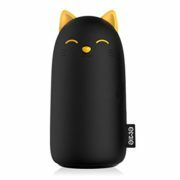 Not only that, but each fully-charged Carve power bank can charge your smartphone from 0-100% battery power 4 times! 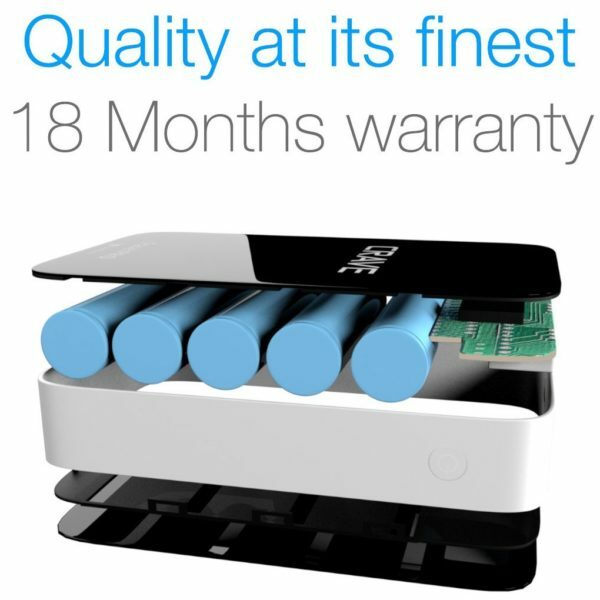 INCLUDES 18-MONTH WARRANTY: Our portable charger comes with an 18-month warranty that covers faulty batteries, charging problems, and internal issues. 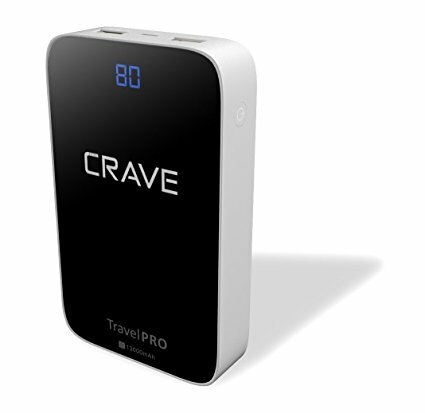 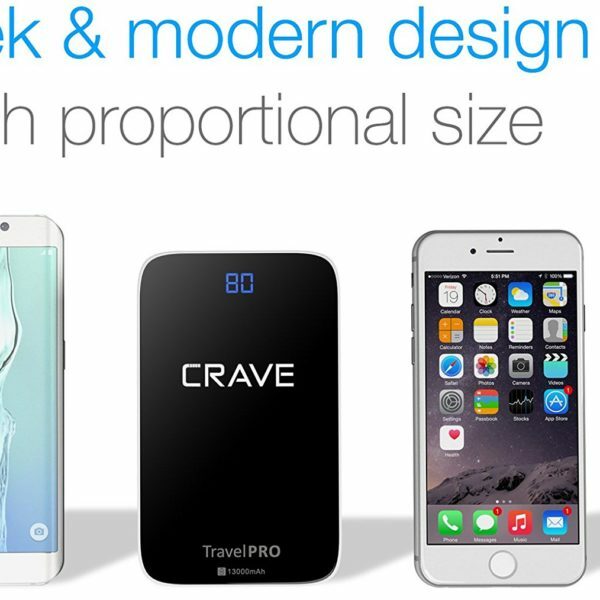 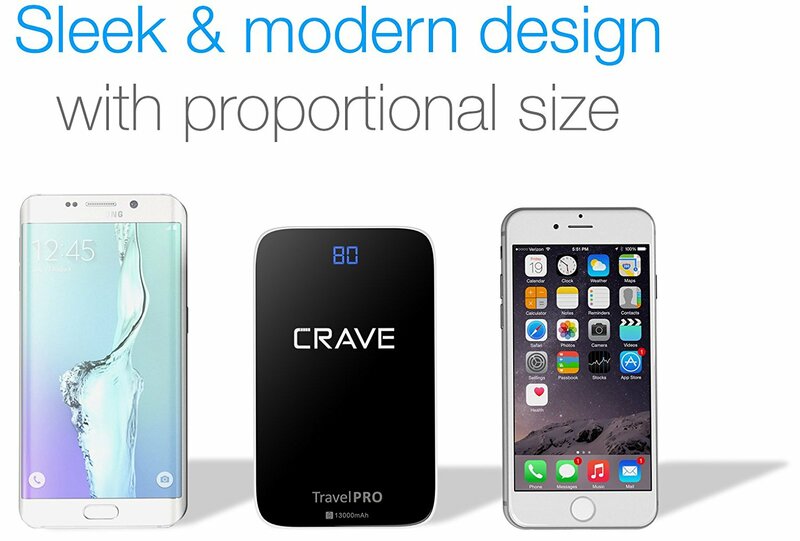 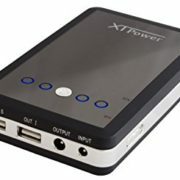 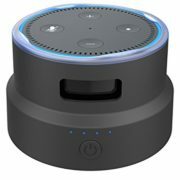 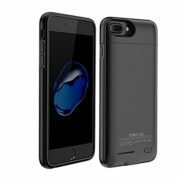 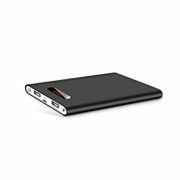 UNIVERSAL COMPATIBILITY: The Crave® Portable External Battery Charger works with todays popular brands, including iPhones and iPods, Samsung, HTC, LG, and Android devices. 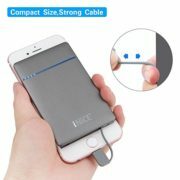 It also works with your GoPro and tablets!